Christmas is just a few days away... Wow, that was fast! If you haven't been whipping up goodies in the kitchen yet, my guess is you're about to get very busy. Do you have a friend who you turn to for recipes when you're in a pinch? Who - rain or shine... or snow and more snow - never fails to provide a fail-proof recommendation? My gal pals Victoria Whiting, Colleen Arturi and Lisa Barr are certified pros in the sweets department, and today they are sharing tried-and-true Christmas treats. So, no stressing. They have us covered. Roll the dough into 12 large balls (or 9 for HUGELY awesome cookies) and place on a cookie sheet. Bake for 9-11 minutes until the cookies look puffy and dry and just barely golden. Warning, friends: DO NOT OVERBAKE. This advice is probably written on every cookie recipe everywhere, but this is essential for keeping the cookies soft. Take them out even if they look like they’re not done yet (see picture in the post). They’ll be pale and puffy. Preheat the oven to 375 degrees. Place the nuts on an ungreased baking sheet and bake for about 10 minutes until they are warmed through. Meanwhile, combine the rosemary, pepper, sugar, salt and butter in a large bowl. 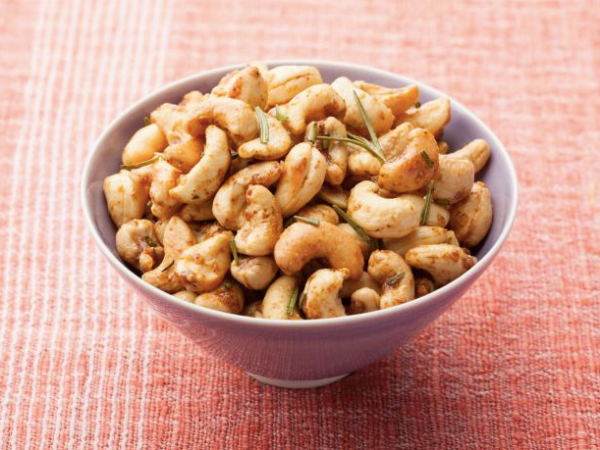 Toss the warm nuts with the rosemary mixture until the nuts are completely coated. Serve warm. Thoroughly butter or spray a bundt pan and add the frozen dinner rolls in the bottom. Sprinkle with the pudding mix. Mix together the brown sugar and cinnamon, and sprinkle on top of the frozen rolls. Sprinkle top with the pecans and pour melted butter all over the top. Cover loosely with plastic wrap and let rise in a draft-free place for about 7 hours, or overnight. When ready to bake, preheat oven to 350 degrees and bake for about 25 to 30 minutes. Loosen around the edges of the pan and the center tube and let rest a few minutes; turn out onto a large plate. Let cool slightly and serve warm. If you try one of these recipes, please share how it fit into your holiday celebration! And, most importantly... Merry Christmas! Connecting with you here has been one of my year's greatest blessings! 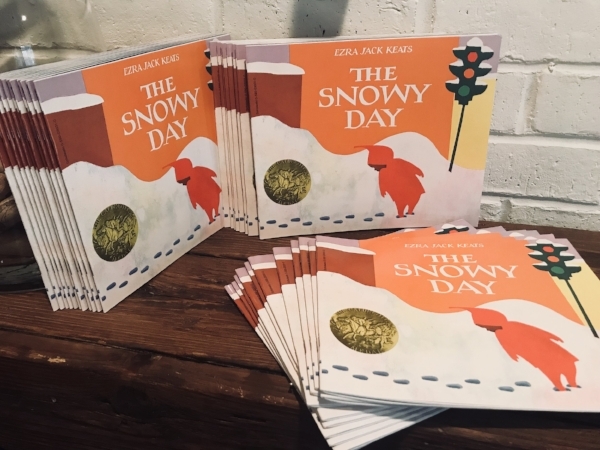 This year, I met and connected with lots of people through the blog and Twitter - loving supporters of literacy and authors of beautiful picture books. 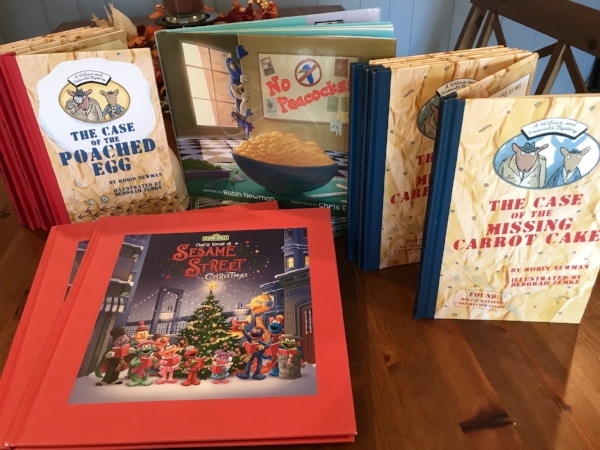 When hurricanes put many in our nation in great danger this year, I saw this amazing community step up in major ways - getting creative with fundraising ideas (like this effort by Clear Fork Publishing) and keeping the spotlight on regions' ongoing needs. Might this love carry over to supporting Chicago kids? I had a hunch it might. 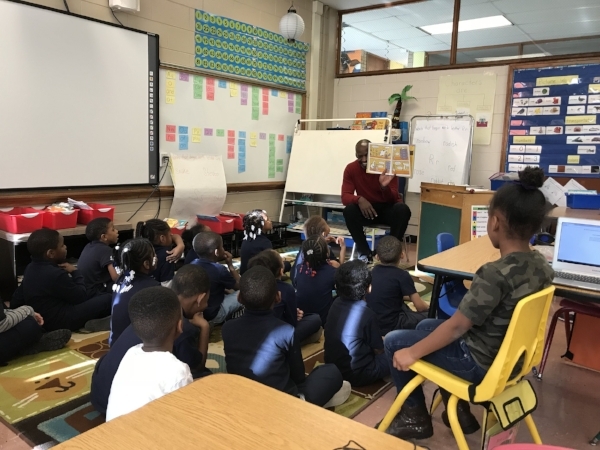 So in November, National Picture Book Month, I put out a call for books for the phenomenal organization Leading with Literacy, based in Chicago's Bronzeville neighborhood. Maybe we'll get 30 or 50. A month an a half later, 408 books were sitting in my family room. With every delivery, I was overwhelmed. Books arrived from New York and Massachusetts, from Missouri and Nebraska, from California and Washington. The whole country was loving on Chicago kids. All the wonderful titles donated can be viewed HERE. At long last, delivery day - Dec. 14 - arrived. It's a day I'll never forget. 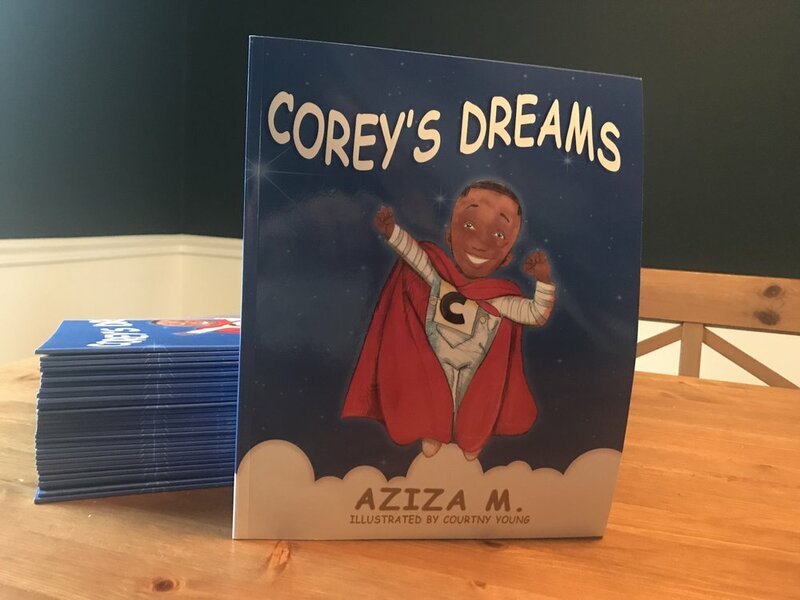 Pastor Michael Neal, founder of Leading with Literacy, put together a delivery day schedule for me and my dear friend Chaz, and we spent the entire morning and into the afternoon delivering books to fabulous kids in Bronzeville and beyond. We were greeted with so. much. love. Hugs, smiles and energy. Tons of energy! Here's a carousel slideshow of our day (to scroll through, click on the right-most photo). Two Chicago news crews - ABC 7 and CBS 2 - even came out to cover the event. There was so much excitement in the air. When we handed out the books, some of the children asked if the titles were theirs to keep. Yes! Write your name in it. Share it with your brother or sister or cousin. It's yours. I asked one child what her favorite book was, gesturing at the classroom's reading nook. "This one," she said, gripping the book we had just given her to her chest. And on and on it went, in classroom after classroom. My heart was overflowing. 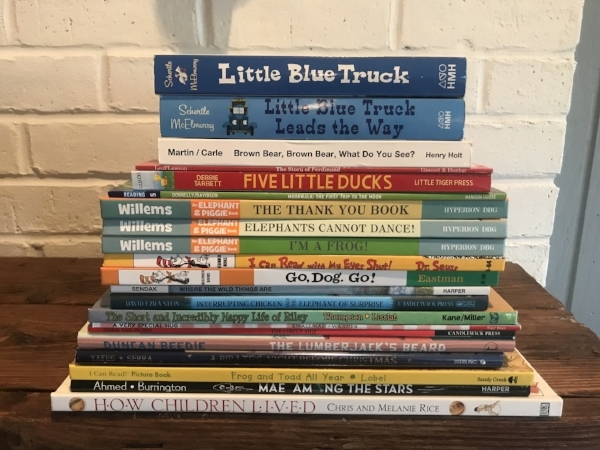 With love for the passionate kids I met, with respect for the phenomenal teachers leading them, with appreciation for the authors and publishers who gave their work, for friends and family who put together incredible, thoughtful donations. It was a beautiful Christmas moment. I mean... these giggles!! But perhaps the thing that blew me away most of all was Pastor Neal's amazing ministry. He spends countless hours every week in the schools, connecting with kids and supporting teachers and principals. His passion is literacy, as well as trauma - helping people deal with traumatic life events. You can read my Q&A with Pastor Neal here. Because of Pastor Neal, the amazing books you all helped me collect are now in the hands of children who are learning to love reading. 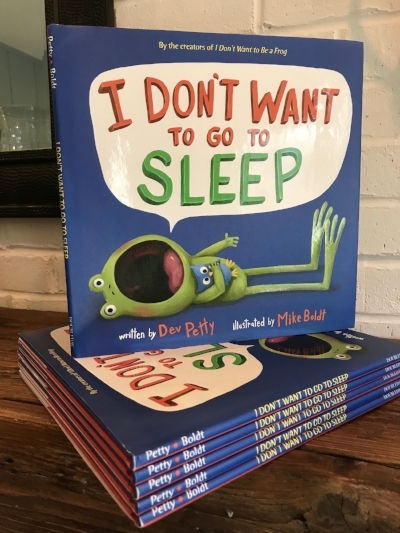 Who may not have had a book of their very own until this week. Thank you, Pastor Neal, for your tireless service to others. 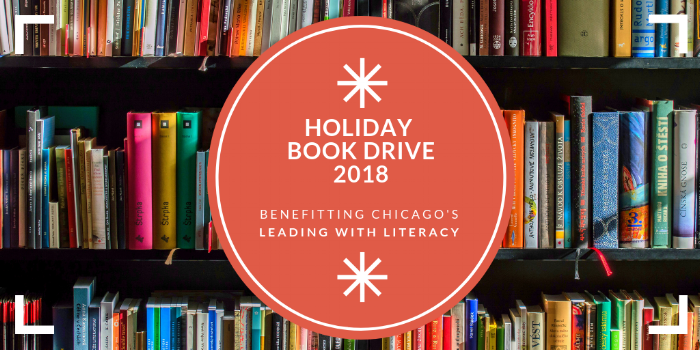 Looking forward to Holiday Picture Book Drive 2018! This weekend, my daughters helped me pick the winner of the Wolf-Hirschhorn Syndrome 2017 Halloween Costume Event for the www.wolfhirschhorn.org website. The only fair way to decide the winner of a cool Foamnasium tumble-form set? A good-ole-fashioned bowl draw! For this installment of The Happy Holidays Series, take a blog hop to watch the video reveal, where you'll also find this year's WHS fundraising item, which makes giveaways like this one possible! I'm so thankful that God has given me the chance to support other families of children with Wolf-Hirschhorn Syndrome through service to the WHS website. In the comments section (below), I'd love to hear how you are putting on wings and serving as an ANGEL this holiday season! 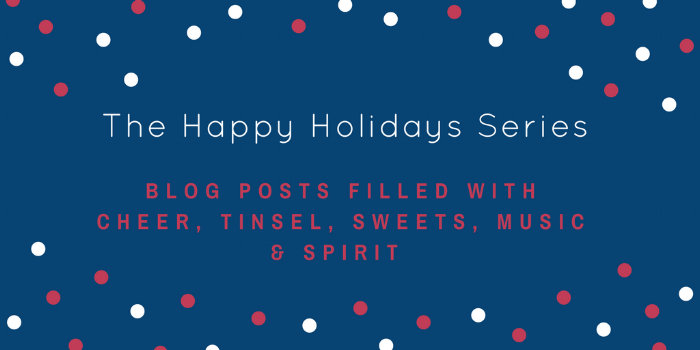 The Happy Holidays Series would be incomplete without a book review and giveaway! Like all the books that I feature, to me this book has that special something. But this one also happens to hit your heart at the same pitch as a holiday children's choir or the distant jingle of a bell. 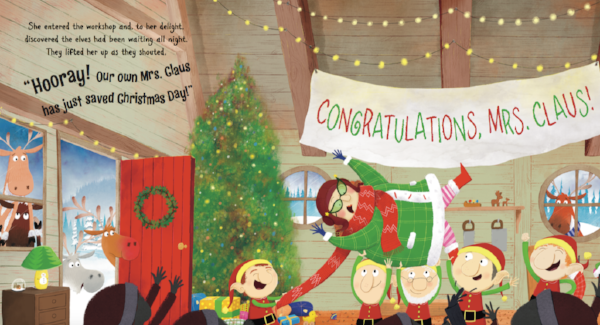 My affection for Red & Lulu, a new Christmas picture book written and illustrated by Matt Tavares (Candlewick Press), began long before I opened it. I spied the cover earlier this year on Twitter, and it triggered a completely emotional response. I knew this book would become a beloved title in our holiday book collection. The cover of Red & Lulu is both iconic and novel. 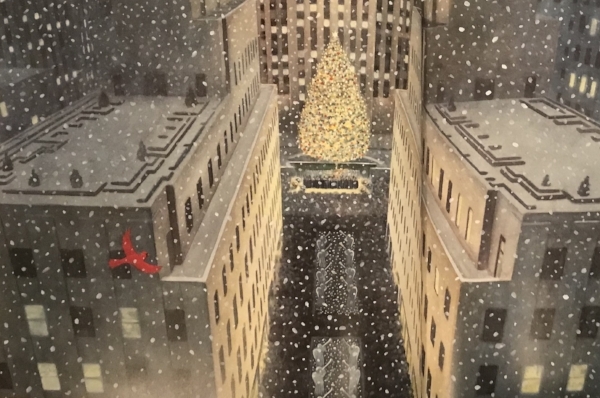 Through dreamy snowfall, we see the Rockefeller Center Christmas Tree and meet two new characters - lovely red birds Red and Lulu. Without yet knowing their story, through the cover you can feel the birds' bond and glean the excitement of a shared adventure. We sing "O Christmas Tree, thy leaves are so unchanging" in the grocery store and all around the house. When I asked my 4 year old what book she'd like to put on her Christmas list, she instantly said Red & Lulu. My fave: At our town's Christmas tree lighting, my 2 year old pointed to the freshly lit tree and screamed, "Lulu!!!" 1. Companionship: "Red and Lulu were happy in their tree." From the start of the book, we read these words and see Red and Lulu moving through the seasons together. Red brings a twig to Lulu in the spring. They perch on a branch in the heat of summer. They seek each other out in the autumn wind. Red and Lulu are inseparable, and their joys are interwoven. Through gorgeous illustrations and gentle, poetic text, Tavares establishes the beauty and certainty of their partnership. 3. Separation: We all fear separation from home and loved ones. So when Red and Lulu are distanced - as their tree is cut down and transported to NYC - we feel their panic and urgency. The juxtapositions created by Tavares in the spread below are powerful. With precision, he demonstrates the step-by-step process of removing and transporting such a large tree, and with a keen sense of scale, he shows Red and Lulu's powerlessness against the change. 5. Iconic: After an exhaustive search for Lulu, Red happens upon a tree that looks an awful lot like their tree. Tavares captures this moment in an unforgettable image (below), which encapsulates what I imagine a New York City Christmas to be. The spread of wide-winged Red in front of this iconic scene is perfection. As a reader, you know you are getting close... to the tree's true purpose, to the end of Red's journey, to Lulu (we hope! ), and to Christmas Day. It's a moment of arrival and joy. Isn't that what Christmas is all about? I soooooo want to share the next few pages of the book with you, but I can't. You don't want to first experience those moments here. You'll need to share them with someone you love. The phrase "new classic" is often used to market books. While no one could possibly know if a book might reach a deep place in the hearts of many, when I hear that phrase attached to Red & Lulu, I don't doubt that it will come to pass. I do think it will be one of those books. One lucky winner will receive an *autographed copy* of this beauty. (Thanks for sharing one with the blog, Matt!) 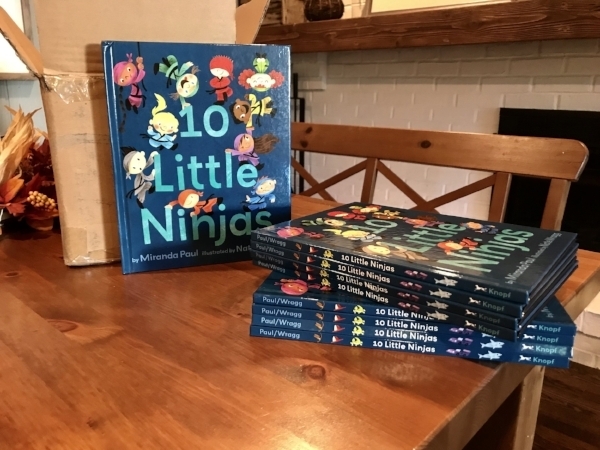 Here's how to enter to win - and be sure to follow Matt on Twitter @tavaresbooks.